What I would have said... | Green Party of Canada http://ap236.ca/2bBe69m #gpc #cdnpoli #bds? - Bonnie North for Barrie -- Innisfil http://bgrn.ca/1Ku2QRr? Remember to VOTE TODAY! For your polling location visit http://goo.gl/9Rw9BY @BonnieNorthGP? Remember to VOTE tomorrow! For your polling location visit http://goo.gl/9Rw9BY @BonnieNorthGP? Remember to VOTE Monday! For your polling location visit http://goo.gl/9Rw9BY Pledge to vote Green at http://bgrn.ca/1OLlKJB? The evolution of the Green Party: An Open Letter - http://bgrn.ca/1PmMWjA #Bonnie4BI #elxn42 #Barrie #BarrieInnisfil #gpc #cdnpoli ? The Final Frontier - #Bonnie4BI http://bgrn.ca/1Lu2dfC #BarrieInnisfil #elxn42 #gpc #cdnpoli? Come celebrate with us! http://bgrn.ca/1G3j2xR #gpc #BarrieInnisfil #Bonnie4BI #elxn42 #cdnpoli? “Strategic Voting” Is Stupid. Here Is Why It Won’t Work. - MetaCanada http://bgrn.ca/1ZyTxe2? On October 19th vote Bonnie North in Barrie -- Innisfil.? Get To Know Elizabeth May In 51 Questions http://ap236.ca/1L9nFTQ? Hallowe'en is near! - Journey to Diversity Workplaces http://j2dw.co/1LFoLfA #j2dw #barrie #halloween #equality? All hands on deck! - Bonnie North for Barrie -- Innisfil http://bgrn.ca/1huHg8h #Bonnie4BI #gpc #barrieinnisfil #elxn42 #cdnpoli? The polls are open - #Bonnie4BI http://bgrn.ca/1NtVVyR #BarrieInnisfil #elxn42 #gpc #cdnpoli? How the Federal Parties Rate on Climate | Greenpeace Canada http://bgrn.ca/1jer7pm #elxn42 #Bonnie4BI #cdnpoli #gpc? Elizabeth May: Paying Everyone A Basic Income Will End Poverty AND Save Money http://ap236.ca/1MeWJX2? To win, you have to know who your supporters are. It’s so simple, but it makes all the difference. Advanced voting opens in only 2 days and we have to be ready. In 2011, we elected Elizabeth May because thousands of supporters like you pledged to vote Green. This time, we can elect even more Green MPs.? Shake it off – Break the TPP! - YouTube http://ap236.ca/1JPXqzJ? Chris Lea (Green Party of Canada leader 1990 - 1996), Bonnie North, and Marty Lancaster at last night's box social.? Still a Thing? - Elect Bonnie North for Barrie–Innisfil http://bgrn.ca/1WA7c29 #Bonnie4BI #elxn42 #gpc #cdnpoli #BarrieInnisfil ? Canada's first openly gay political party leader to visit Barrie -- Innisfil http://bgrn.ca/1j0V2Bb #BarrieInnisfil #gpc #cdnpoli #Bonnie4BI #elxn42 ? Former #GPC leader Chris Lea participates in Barrie – Innisfil Fundraiser Oct 3 http://bgrn.ca/1PJo7ez #Bonnie4BI #elxn42 #gpc #cdnpoli ? Former Green Party of Canada leader Chris Lea participates in Barrie – Innisfil Fundraiser Oct 3 http://bgrn.ca/1ErsWIq #Bonnie4BI #elxn42? Two great events coming up for NETWORKING! Students and Tuition Town Hall TOMORROW 2 - 4 PM. Next week come out and meet Canada's first openly gay political party leader! Students and Tuition Town Hall THIS Sunday 2 PM - 4 PM with Bonnie North Deets at http://bgrn.ca/1NX1Nkm #elxn42 #Bonnie4BI #gpc #Barrie #Innisfil ? GPC candidate Bonnie North to hold Students and Tuition Town Hall http://bgrn.ca/1LtTnz0 #Bonnie4BI #Barrie #Innisfil #GPC #students #elxn42? Your Week with Bonnie North http://bgrn.ca/1V1Lhyg #Bonnie4BI #elxn42 #Barrie #Innisfil #GPC #cdnpoli? Press Release: Bonnie North and the Green Party is the strategic vote in Barrie – Innisfil http://bgrn.ca/1KwVf9n #Bonnie4BI #elxn42? Scrap first-past-the-post elections: Barrie-Innisfil Green Party candidate http://bgrn.ca/1OjJeqk #Bonnie4BI #elxn42? GPC candidate Bonnie North to hold weekly morning Tweet ups http://bgrn.ca/1LmjbwK? Students and Tuition Town Hall - #Bonnie4BI http://bgrn.ca/1JdJfEm #elxn42 #Barrie #Innisfil #Students #gpc #cdnpoli? The Chatelaine Q&A: Green Party leader Elizabeth May http://bgrn.ca/1F2rRHT? Elizabeth May to tweet her way into Globe and Mail debate - Politics - CBC News http://bgrn.ca/1FdelAL #elxn42 #gpc #cdnpoli? Over 500 Canadian Academics call on the parties to work together towards a fair and democratic voting system http://bgrn.ca/1Mpxp1v #elxn42? http://bgrn.ca/1K5DFrs #Bonnie4BI #innisfil #cookstown #barrie #gpc #elxn42? 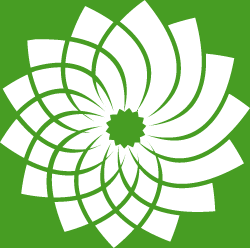 Platform 2015 | Green Party of Canada http://bgrn.ca/1IYTRaa #elxn42 #gpc #cdnpoli? Glenn Sollitt on Vote Splitting and Strategic Voting | Glenn Sollitt http://bgrn.ca/1Noe4xH? Fmr #GPC leader Chris Lea participates in BI Fundraiser Sept 12 http://bgrn.ca/1ErsWIq ?#?Bonnie4BI? ?#?elxn42? ?#?Barrie? ?#?Innisfil? ?? Press Release: Bonnie North and the Green Party is the strategic vote in Barrie - Innisfil - Wire Service http://bgrn.ca/1NdYiUD #Bonnie4BI #elxn42 #gpc #cdnpoli ? According to this Strategic Voting website, #Bonnie4BI is the strategic vote. So if you want to defeat the Cons, vote Green October 19th. http://ap236.ca/1JNtM1v #elxn42 #gpc #cdnpoli ? Your Weekend News! http://bgrn.ca/1g3BPwd #Bonnie4BI #elxn42 #gpc? Green Party would restore home mail delivery by Canada Post | Toronto Star http://ap236.ca/1fTDbtA #gpc #elxn42 #cdnpoli? Barrie Regional Green Party. Twitter page for the Green Party of Canada in Barrie--Innisfil Barrie--Springwater--Oro, and the Green Party of Ontario in Barrie.